Levitated Mass is the name given to the newest permanent art piece at Los Angeles County Museum of Art. 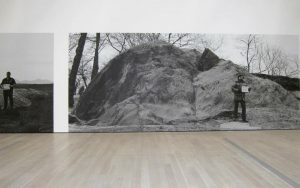 It is the journey of a large rock that became an art legend and Olson Visual created all of the signs and graphics for this monumental occasion. 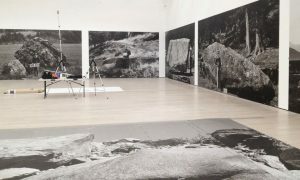 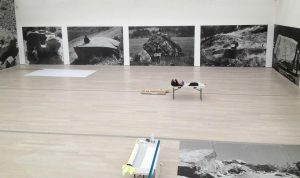 OV installed and printed the black and white large-scale images seen below. These are actually, the preliminary photographs that show the artist’s process and how Levitated Mass was born. 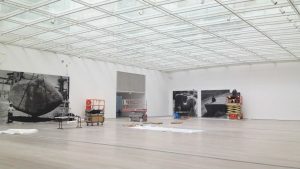 On June 24, 2012 the ribbon was cut to inaugurate this 340-ton outdoor installation. 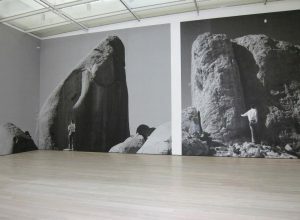 The artwork was first conceived by Michael Heizer in 1969 as an illustration that is now housed in a collection in Berlin. It wasn’t until many years later that the artist, Heizer, discovered the appropriate rock in Riverside, California. 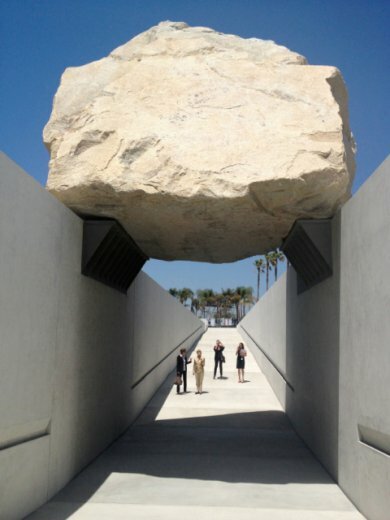 During the celebration of this new $10 million dollar rock, was the appearance of the Mayor, Antonio R. Villaraigosa. 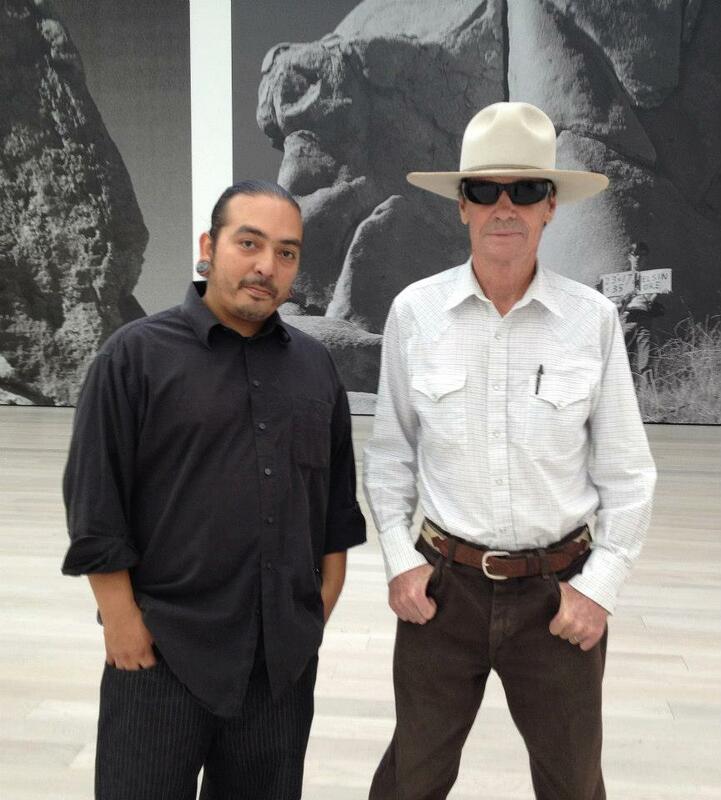 This was an event that many Angelinos attended. 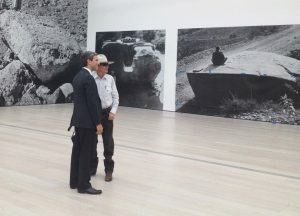 Some were excited to see the unveiling while others questioned its high price tag and the validity of the art world. 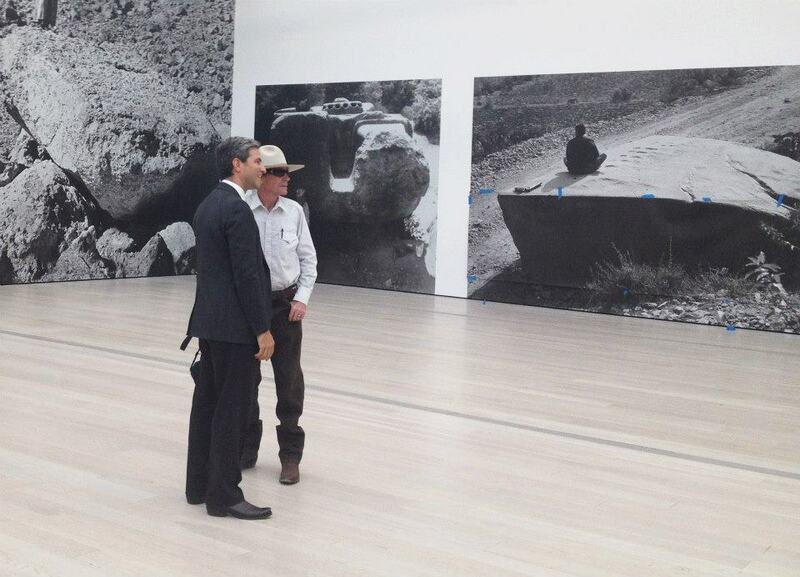 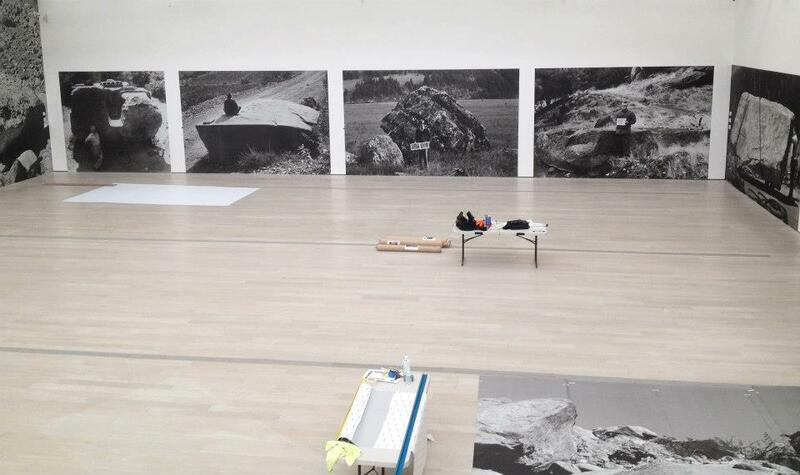 Michael Heizer and Michael Govan take a moment to appreciate the photographs during installation.